Exciting news! After a one-week wait, royal pair Prince William and Kate Middleton have finally revealed the details of their wedding, announcing a date and location for the special ceremony. Amid much speculation, the pair have announced the wedding is set for spring – Friday April 29, to be exact. April 29th is said to been a favourite with Prince William – who has been hard at work this week as a search and rescue pilot in the welsh mountains – from the beginning. Appropriately, the special date is St Catherine’s Day, with Catherine being the name William’s beautiful bride-to-be will officially take when she marries. 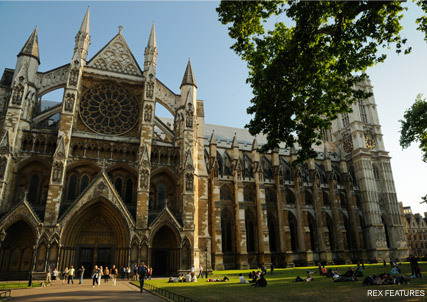 Kate and William also confirmed the much-anticipate 2011 wedding – already set to be the ceremony of the century – will be held at famous London venue Westminster Abbey. It’s thought the pair consider the venue ‘intimate’ and ‘like a chapel’ and are keen to fit as many people as possible inside the Abbey for the ‘traditional’ nuptials. A royal spokesperson also confirmed the cost of the wedding – including the church service, music, flowers, reception and honeymoon – will be paid for exclusively by the Middletons and the Royal Family. And Kate and William are said to be ‘over the moon’ and ‘on cloud nine’ now the date is in place, leaving them free to get on with the planning. Downing Street has also confirmed Kate and William’s special day will be marked by a bank holiday, to allow for ‘national celebration’. What are your thoughts on an April royal wedding? Let us know in the comments box below.